Building the capacity of citizens and civil society to use open government approaches to progress the Sustainable Development Goals. The Scottish Council for Voluntary Organisations (SCVO) in partnership with the Wales Council for Voluntary Organisations (WCVA), Involve, and Northern Ireland Environment Link has been awarded a £500k Big Lottery Fund grant to support more people to take part in the decisions that will shape their future. The UK partners will work together over two years as part of the Open Government Pioneers Project to help people share the tools, techniques and resources required to engage and challenge their governments to serve them better. There will be a particular focus in supporting people who are not normally heard in the decisions that affect them, and the connection between citizens and devolved governments of the UK home nations. The project is formally linked to the International Open Government Partnership, where governments and civil society have been given an equal say in the commitments made by 70 countries to be more open. It will use open government commitments to help people secure progress towards the Sustainable Development Goals (SDGs) to eradicate poverty, tackle inequality and sustain natural resources at home and abroad. You can find out more about the Open Government Pioneers Project at its Wiki. The full bid and grant terms and conditions are available to view here. 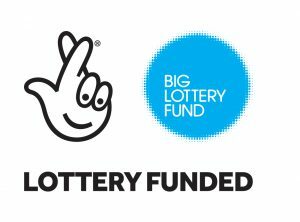 Alternatively, the Big Lottery Fund Media team is contactable by: press.office3@biglotteryfund.org.uk, 0207 211 1888 or (out of hours) 07867 500 572.